الخيار الأفضل للحصول على المتعة والاسترخاء، Prom Country Lodge يقع في منطقة رائجة من أفضل مناطق المدينة. يمكن من هنا للضيوف الاستمتاع بسهولة الوصول إلى كل ما تقدمه هذه المدينة النابضة بالحياة. يشكل هذا الفندق ملاذاَ مريحاً للاسترخاء ويمنح زواره فرصة للاستجمام والتجدد، وهو يقع على بعد خطوات من المعالم السياحية الكثيرة للمدينة. يعمل Prom Country Lodge على ضمان إقامة مريحة لضيوفه من خلال خدماته الممتازة وحسن ضيافته. يقدم الفندق فرصة للاستمتاع بشريحة واسعة من الخدمات بما فيها: واي فاي مجاني في جميع الغرف, خدمة التنظيف يوميًا, مدفأة, متجر هدايا/تذكارات, تسجيل وصول/تسجيل خروج خاص . في الفندق غرف نوم يتجاوز عددها 29، كلها مجهزة بعناية وجمال وبعضها مزود بـ تلفزيون بشاشة مسطحة, سجاد, قهوة فورية مجانية, شاي مجاني, بياضات. يقدم الفندق خدمات رائعة كمثل مسارات المشي, غرفة يوغا, مركز للياقة البدنية, مسار جولف - ضمن 3 كم, حمام سباحة خارجي لمساعدتك على الاسترخاء بعد نهار طويل من النشاط والتجوال في المدينة. استمتع بخدمات لا يعلى عليها وعنوان ذو اعتبار في Prom Country Lodge . There was an issue with our booking, and the staff did everything to find a solution to our problem. We were very pleased with how they treated the situation. Nice room and facilities. Friendly and pleasant staff. We stayed here overnight while exploring around Wilson's Prom. It's a great place for an overnight rest if you are visiting the prom, however the rooms look like they were last refurbished in the 80s/90s. However, the room was very clean, and the manager was very welcoming and lovely. Will probably not consider staying here again, but if you're looking for somewhere to have a no frills night i guess this place will be alright! We enjoyed our stay at the hotel! Staff were friendly and helpful. Room was big and spacious with plenty of room for a family with young kids. 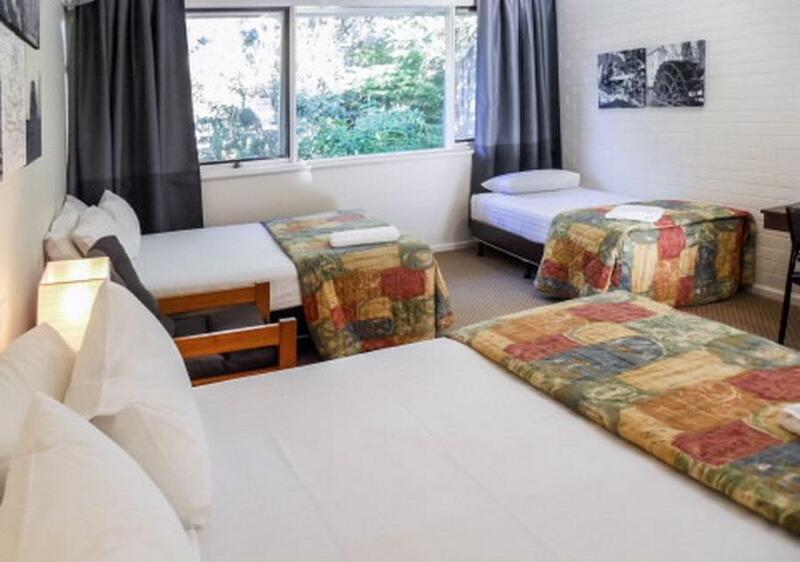 Just outside Foster town, but a short drive or walk in, also not far from Wilson's Prom. Very friendly staffs. Room is normal. Good for a night stay. Fantastic, the room was very clean, new carpet on the side room, a little squashy but make it feel great with high ceilings. The kids loved it. I found it very helpful that it had a little fridge, microwave and all electric appliances very handy when travelling with kids. Very satisfied with my stay. Location is abit hard to find if no GPS. Very cosy & homey feel to the surroundings & room. Bed were very comfortable wifi was not an issue. Staff were super friendly & helpful. No regrets staying at this hotel. 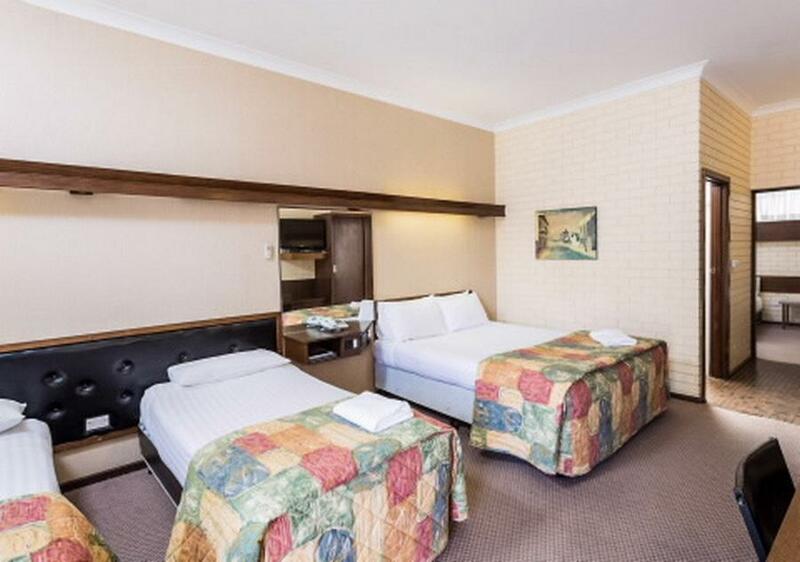 This motel is good value for money. We had the family room as we were a group of 3 adults. The motel is a little run down but that's fine for an overnight stop - our room was clean and the beds comfortable. Heating in the room could have been better, the second room was completely unheated, however electric blankets were a welcome addition. Staff were very helpful and friendly. Happy with 99% of the motel . Has fridge,microwave,toaster and kettle but no plates or knives.Does provide chargeable breakfasts but if providing this level of equipment in the room, please go the whole 7 yards for those who prefer to cater for themselves. We had a lovely relaxing time with a delicious breakfast. The bush setting was great to sit outside and enjoy. Male owner was very friendly, polite, honest and helpful upon our arrival. He was genuinely concerned about whether we needed anything extra for our room. We even used the kitchen for basic cooking! Couple owner were very aware of their responsibilities and duties towards their guests staying at the motel. They had a beautiful placcid golden retriever and always mindful of children who made come into contact with their pet dog. Making sure the dog doesn't bite. It was actually the other way around where the children pulled its ears and frightened the poor thing. They were still extremely polite and calm in responding. Kudos to them!! If it was me I woulda been furious. Also asked if I needed any medication cos I was having headache n pain all day. We used dining area to eat our own things and they asked if we needed more cutlery, sauce, bringing serviettes, brought us water (beer for my partner) and asked again if needed anything to help with my nausea! Next morning they greeted us with a warm friendly smile and wished us well for the rest of our week. Very good customer service and genuine owners. Definitely would come back! Nice place to stay. Very friendly staffs and good service. The room is big and comfort but not suitable to cook any thing inside the room. Got BBQ facilities outside.